Avoiding arthritis inflammatory foods can greatly impact joint inflammation and pain reducing and/or stopping it altogether. There are certain food that impact arthritis significantly, and not in a good way. Osteoarthritis also known as degenerative arthritis is the most common form of the arthritis diseases, which impacts 27 million Americans; this pain is the result of the breakdown of cartilage in the joint itself. Rheumatoid arthritis is an autoimmune disease that impacts an estimated 2 million Americans with chronic inflammation of the joints that cause pain, stiffness and swelling. 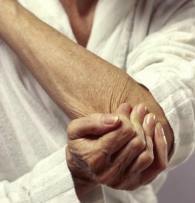 Staying away from arthritis inflammatory foods helps relieve symptoms associated with arthritis. Most people with arthritis realize that certain foods do cause flare-ups of their symptoms and science and studies confirm that certain foods indeed impact the progression of this disease. Jelly beans, energy drinks, pastries, fruit drinks, and cakes are examples of empty calories, foods that contain little or no nutritional value, but which can easily add more inches to your waistline. Excess weight increases the load placed on your joints, which may not only speed the breakdown of cartilage, but also may make joint pain and swelling worse. Further, fat tissue in your body releases pro-inflammatory chemicals, such as cytokines, which can influence the development of arthritis. Losing even a small amount of weight may have a beneficial impact on your risk of developing arthritis, as well as your current symptoms. Although a formal link has yet to be established, joint pain is a common symptom described by people with gluten sensitivity, or gluten intolerance. People who are sensitive to gluten, a protein found in wheat, rye and barley it may provoke an innate immune response that can trigger symptoms such as joint pain hours or even days after the gluten is consumed. Find out if gluten is contributing to your arthritis symptoms, eliminate it from your diet for 2 weeks, then slowly reintroduce it and watch for any symptom flare-ups. Nightshade vegetables, including potatoes, tomatoes, eggplant, peppers and tobacco, contain calcitriol, an active form of vitamin D that may lead to calcium deposits in soft tissues such as tendons, ligaments, cartilage and joints if over consumed. This may cause or contribute to inflammation and joint pain, particularly in those who are sensitive. As with gluten, an elimination diet can help you determine if nightshade vegetables are problematic for you. Soybean, corn, peanut, safflower and sunflower oils are examples of vegetable oils that are rich in omega-6 fats, which most Americans consume far too much of this arthritis inflammatory food. It’s not only a matter of the oil you use for cooking at home, but far more the vegetable oils added to just about every processed food that end up being a problem. Eating too many of these omega-6 fats may increase inflammation in your body, which may make your arthritis symptoms worse. 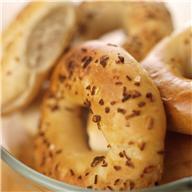 Do you notice that your joints seem achier when you’ve been eating a lot of muffins, bagels, cookies, doughnuts or pasta? This may be because these refined carbs lead to spikes in your blood sugar and insulin, and in turn increase body-wide inflammation significantly. You should limit your intake of trans fats, common in partially hydrogenated oils, as much as possible. Trans fats are strongly linked to systemic chronic inflammation, which is at the root of many arthritis symptoms. Common foods that contain trans fats include savory snacks (like microwave popcorn), fried foods, frozen pizzas, cake, cookies, pie, margarines and spreads, ready-to-use frosting, and coffee creamers. Foods cooked at high temperatures including char-broiled, blackened barbecued, fried and pasteurized often contain harmful byproducts of the cooking process called AGE's. AGE doesn’t refer to how old you are, rather it means Advanced Glycation End Product (AGE), it is a toxin that appears when foods are cooked or prepared at high temps. So, Lower Your AGE's Intake Substantially! 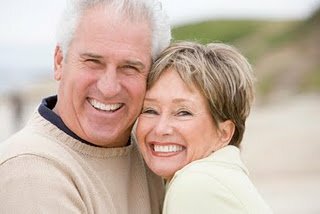 AGE's damage certain proteins in the body, and the body tries to break these AGE's apart by using cytokines, which are inflammatory messengers. Depending on where the AGE's occur, they may result in arthritis or other forms of inflammation. 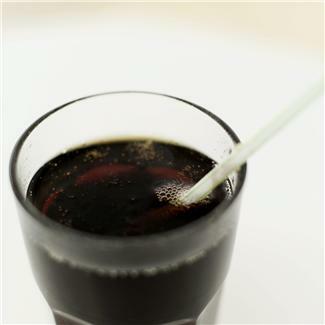 Harvard researchers recently revealed that the more sugary soda men with knee osteoarthritis drink, the more likely the condition is to get worse. Even though increased consumption of soda is linked to weight gain, a known risk factor for osteoarthritis, the link was true regardless of the men’s weight. Typical treatment involves pain reducing medication. While there is no definitive arthritis diet, not yet anyway; research suggests avoiding arthritis inflammatory foods does reduce the triggering of joint inflammation and pain and could possibly eliminate the need for pain medications altogether. Which is a good thing considering how destructive pain meds are on our body's filtering organs, the liver and kidneys. It is not enough just to avoid arthritis inflammatory foods but including super foods for reducing inflammation gives the best results for an anti inflammation diet. Alternative Arthritis Treatments -The deep penetrating power of Near Red and Infrared light therapy is a natural choice for many. Reducing Inflammation - Systemic Proteolytic Enzymes dissolves excess fibrin that forms scar tissue, adhesions's and growths that create inflammation. What Causes RA - Most doctors and scientist agree a combination of genetics, hormonal and some environmental factors can trigger the onset of the disease.